Books have changed quite a bit, but great writing has not. Engaging literature may now be enjoyed in a variety of formats. There is nothing quite like getting completely immersed in a good book, or listening to a mesmerizing performance by a great reader. 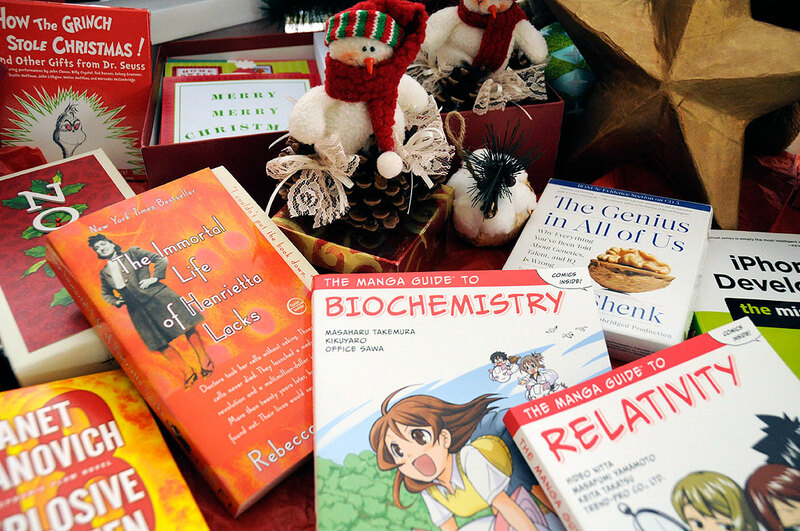 So it should be no surprise that books are amongst the most popular Holiday gifts year after year. Growing up, our favorite book and cartoon this time of the year was How the Grinch Stole Christmas, and it is no surprise that we recommend this Dr. Suess book every year. It is particularly enjoyable when read out loud by someone who is not afraid to “Grinch it up.” Philip Pullman’s Dark Materials trilogy is a fantastic series of books and are particularly enjoyable in audio format (read by the author, even). Perfect for any upcoming road trip. Browse more than 121 years of National Geographic magazine—every article, photograph, and map they have ever published exactly as they appeared in the printed version. The definitive collection of every issue of National Geographic magazine is digitally reproduced in high resolution on just a handful of DVDs. This digital collection is the best way we know to make room on the library shelf for more books! Her name was Henrietta Lacks, but scientists know her as HeLa. She was a poor Southern tobacco farmer who worked the same land as her slave ancestors, yet her cells—taken without her knowledge—became one of the most important tools in medicine. The first “immortal” human cells grown in culture, they are still alive today, though she has been dead for more than sixty years. Rebecca Skloot takes us on an extraordinary journey and brings Henrietta’s long overdue story to life. Anyone with programming experience can learn how to write an iPhone app. But if you want to build a great app, there’s a lot more to it than simple coding: you also need to know how design and market your creation. iPhone App Development: The Missing Manual is an easy-to-follow guide walks you through the entire process, from sketching out your idea to promoting the finished product. If you are going to write code, do it so it minimizes the time it would take someone else to understand it—even if that someone else is you. The Art of Readable Code focuses on basic principles and practical techniques everyone can apply every time they write code. Using easy-to-digest code examples from different languages, each chapter dives into a different aspect of coding, and demonstrates how one can make their code easy to understand. In the Lion edition of the best-selling My New Mac, you’ll find 56 simple projects that will have you doing useful things right away–like surfing the Internet, sending email, listening to music, and playing with your digital photos. Fun stuff, if you know how to do it. Let Wallace Wang show you the ropes with My New Mac. If you are like us, sometimes you forget what’s in your reading library. The best way to get a handle on what books are already in the collection is to have an up-to-date catalog. While the idea is nice, the problem often is with the execution. Anything which is cumbersome to build or maintain will quickly fall into disuse. The easiest and most efficient way to build a good catalog is with a database. The simplest way to get a database up and running is with Bento by FileMaker. 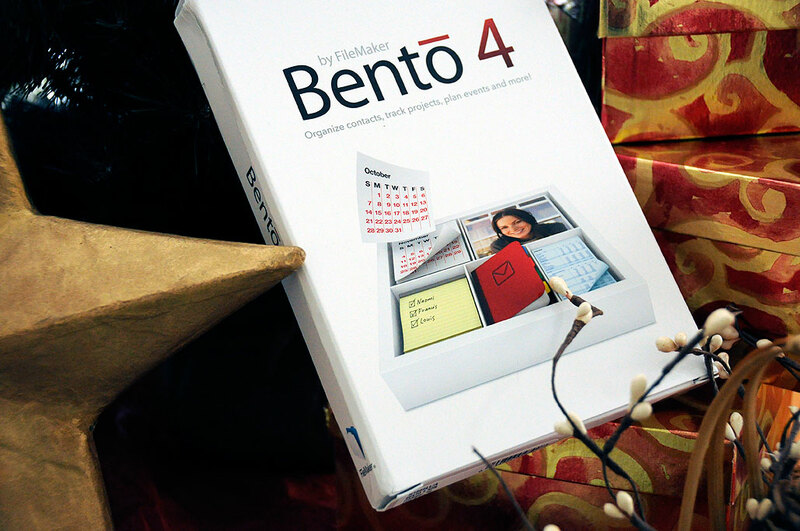 Bento requires no programming and can be set up within minutes. The software runs on the Mac, iPad, and iPhone so it is easy to share the data between the desktop and mobile devices. Books make wonderful gifts, whether they be physical, audio, or electronic. 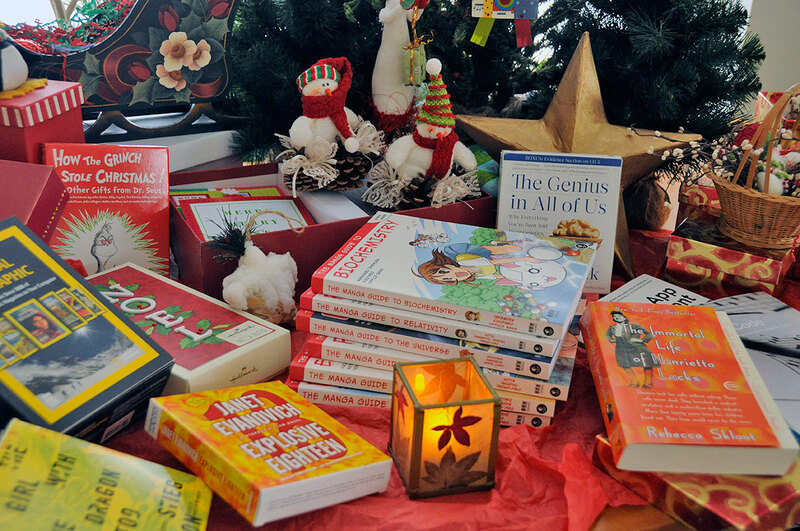 Give a book this Holiday season and share the joy of reading (or listening). Have a great Holiday!